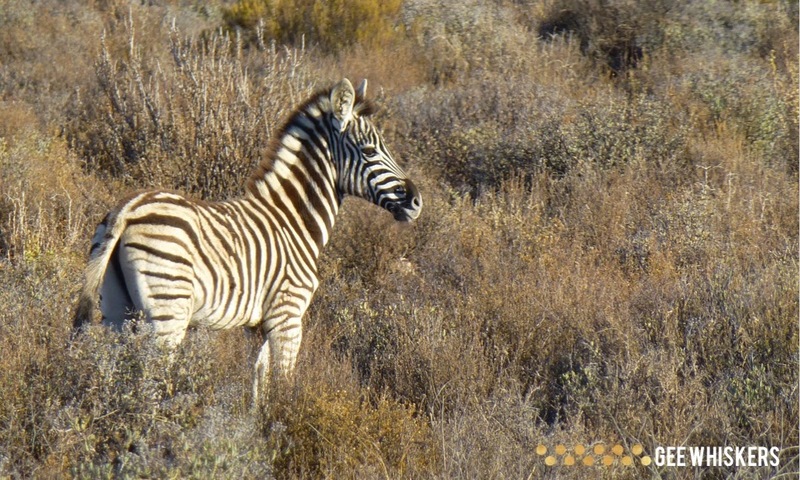 Kagga Kamma Private Game Reserve | Photo Heavy / Gee Whiskers! Gee Whiskers. Powered by Blogger. This past weekend JP and I went away for an evening to Kagga Kamma Private Game Reserve. The reserve is basically out in the middle of nowhere which made it a perfect escape for us. 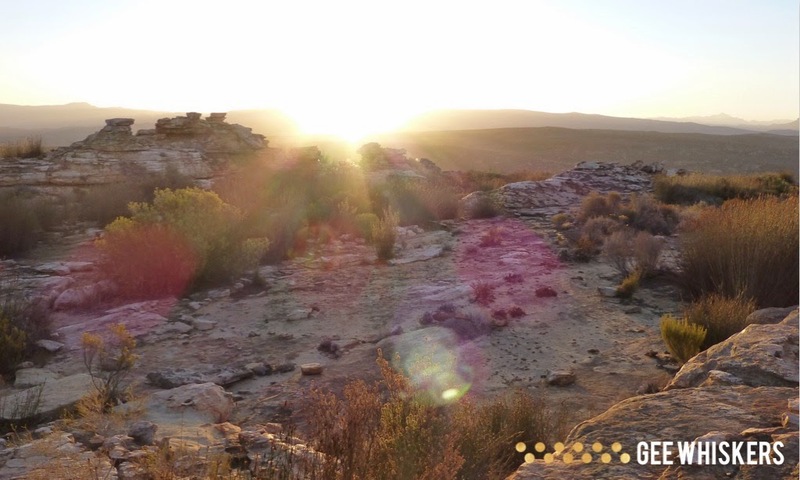 I really love the Cederberg area because the landscape is so uniquely beautiful. I know it is a bit of a departure from the usual beauty posts but I thought I would use today's post to share a few of my favourite photos from JP and my trip. 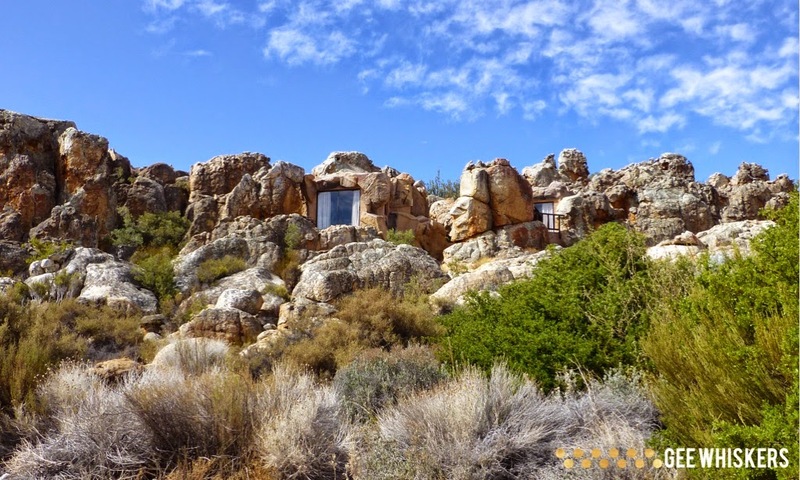 At Kagga Kamma we stayed in a "Cave Room' which is room that is modeled on a rock face and made to look like a part of the landscape. It was truly such a great experience - we were lucky to get one of the honeymoon caves which was slightly more private than the others. 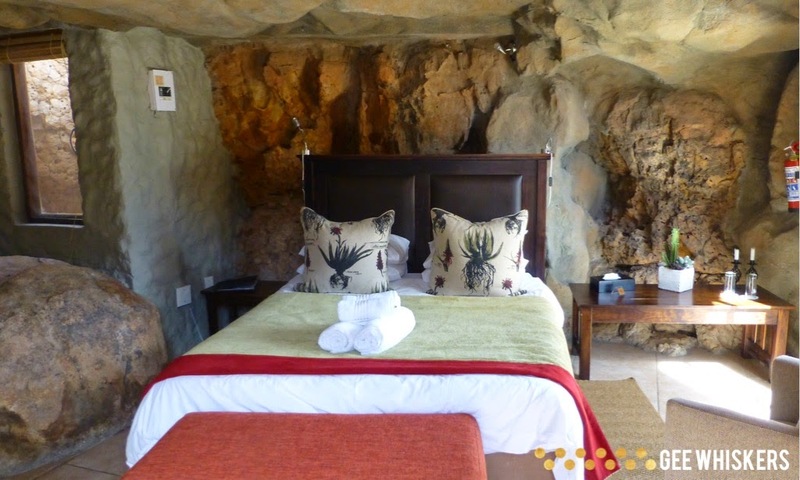 I booked months in advance and asked the receptionist for a cave room that was a bit more private. When we arrived it was incredibly hot so we decided to spend some time by the pool and catch a bit of a tan. This is by far one of the most beautiful swimming pools I have seen. It is surrounded by impressive rock formations. To end of the day we went for the Sunset drive where we got to see some wildlife and watched the sun go down. The thing that really struck me was just how quiet everything was. It was really such a wonderful evening. After the sunset drive we headed to the outdoor lapa for a braai supper. I didn't take my camera with me because the battery was so dead after the day's photo taking. But it was a great way to end of our day and help us settle in for the night. Although, I didn't get much sleep at all. At around 12am a Dormouse paid us a visit in the room - trying to steal packets of sugar from the coffee bar area. Eventually at around 3am JP and I managed to lead him out of the room. Honestly the cutest mouse I have ever seen - has a fluffy tail like a squirrel. After that we finally managed to catch some well deserved rest. 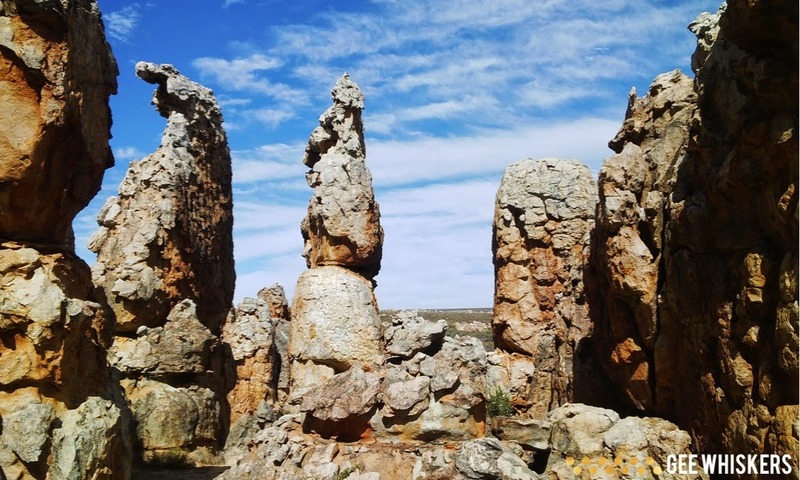 My top tip for visiting Kagga Kamma is to go for 2 nights. 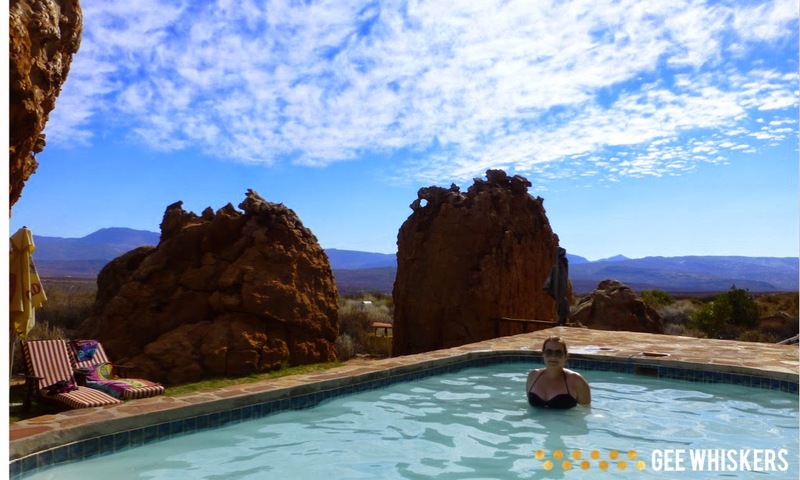 1 night is not enough as there is a surprising amount of things to do in the reserve - Sunset drive, Night Drive, Star Gazing, Quad biking, Hiking, Swimming and there is a spa (need I say more). Also a good idea to splurge a bit and go full board (which we did) - that way all your meals are included and you get a choice of 1 excursion. Also, insist on a Cave Room - it is such a unique experience and one that I'll always remember. There are some great Autumn and Winter packages at the moment - click here to view the rates. I really love going away for the weekend. It not only helps one to relax, but it really does mean so much to me to have the special quality time with JP. There are so many beautiful places here in South Africa - I love exploring them. PS. All these photos were taken with my Panasonic Lumix DMC-ZS20 or Blackberry Z10. No editing was done on any of the photos besides for me applying my watermark. If you would like to use any of these photos please credit me or ask for permission. It looks incredible! 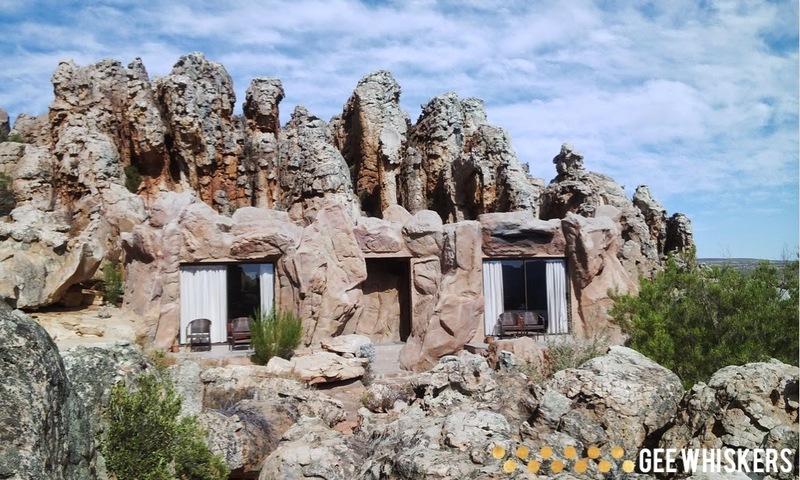 Wow definitely adding Kagga Kamma to my bucket list of places to stay at. It is definitely a "must visit place". Hi, I'm Charlene. Welcome to my blog. Hope you enjoy reading all the posts. 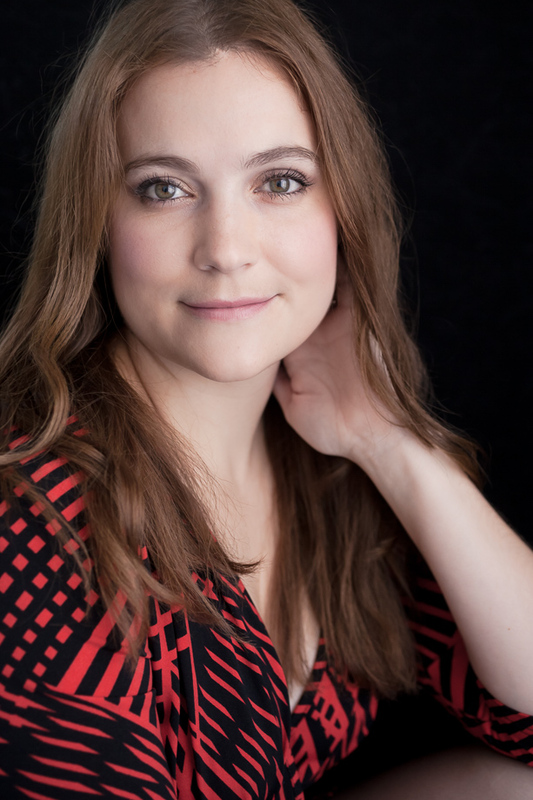 If you would like to find out a little more about me, click on my photo. DO YOU WANT TO RECEIVE BLOG UPDATES VIA EMAIL?